This Magazine → Will a Canadian city house Amazon’s second headquarters? Will a Canadian city house Amazon’s second headquarters? 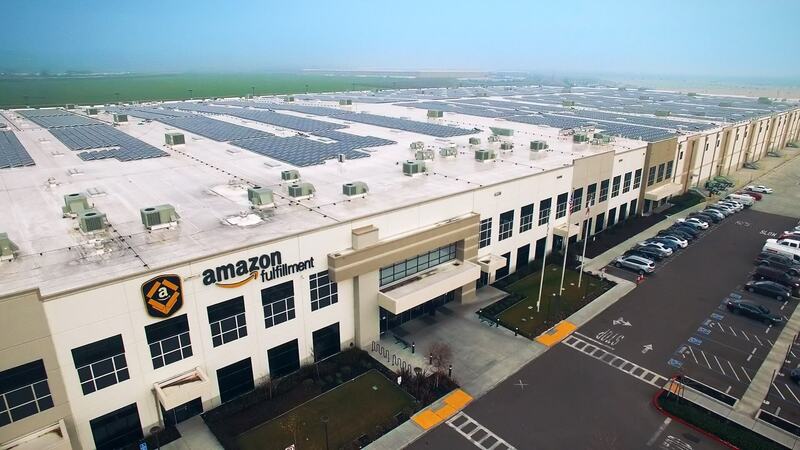 Amazon fulfillment centre in Seattle. Photo courtesy of Amazon. It’s a great time to be Amazon. The digital commerce company has 238 cities vying for its attention, offering all sorts of goodies in hopes of being chosen for its second home. The new headquarters is expected to contribute at least $5 billion in construction and 50,000 high-paying, competitive jobs, which makes it a highly sought after prize. In addition to promising low taxes, affordable land, and a large talent pool, cities are also offering some truly absurd things. Here are the 12 Canadian cities, in order of most likely to be chosen, hoping to host Amazon’s HQ2. Toronto’s bid is a true collaboration, with the support of the Greater Toronto Area, as well as outskirt cities, such as Barrie and Guelph. The main campus would be located along the waterfront, but smaller campuses throughout the region will mean Amazon love for everyone. Amazon already plans to open a 55,000-square-metre fulfillment centre in Rocky View County, north of the city. And, if their proposal offering low taxes doesn’t impress Amazon, perhaps Calgary’s promise to fight a bear for the company will hook them. Amazon is already renting space in the city through a company called WeWork, and recently announced its intention to hire 1,000 new tech jobs in B.C. by 2020. The proposal itself mentions a cycling- and transit-friendly region, and proximity to the airport. If selected, Amazon’s next headquarters will be built in Lebreton Flats, with access to the city’s new light rail, the University of Ottawa, sustainable mixed-use communities, and waterfront properties. Named one of the top high-tech cities in the world, Montreal proposes to focus on the high concentration of technology-centric jobs and a 20 to 25 percent cost advantage over other cities. Edmonton is hoping its experience in artificial intelligence will separate them from Calgary. Google-owned DeepMind, whose mission is to push the boundaries of AI, opened its first international research office in the city. Hamilton’s bid focuses on culture, diversity, history, and innovation. If you had to put a name to this proposal, it would probably be #Hamazon—at least, that’s what the mayor is hoping for. This bid is one of two joint American-Canadian proposals. While the majority of the campus will be located in Detroit, the two cities would be connected together by a cable car or gondola. Winnipeg’s commercial and industrial land costs are low, as are hydro rates and corporate taxes, leading to a possible $1.76 billion in cash incentives for Amazon. Halifax’s pitch revolves around a high population of millennials from various universities looking to grow their startups. The city points to its “tech super hub” Volta as an example of how the city fosters entrepreneurship. By the year 2100, Sault Ste. Marie, Ont. and its American counterpart in Michigan will be one of the few North American cities standing after climaterelated natural disasters hit—or at least that’s one of the arguments city council is using to persuade Amazon. Langford, a small city on Vancouver Island, is using its record on affordable housing, competitive wages, and recreational opportunities in their bid.